How to save section and page as a template. Saving row and section as a template will help you to build your website faster and save your time. In this tutorial, you will learn how to do that. 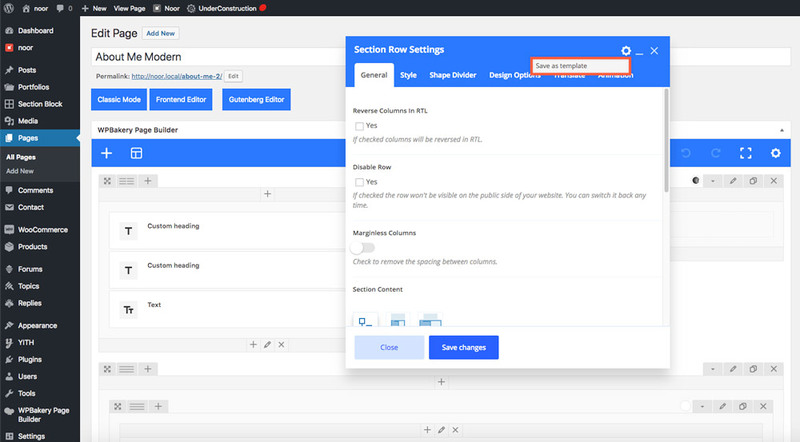 In the Section Row Settings click Element Settings (The Gear Icon) a dropdown menu will be displayed with Save as template option. Select it. Add a Template title and click Save Changes button next to the title. In Templates all your saved section will be displayed there, chose the section that you want to add and click the plus icon. 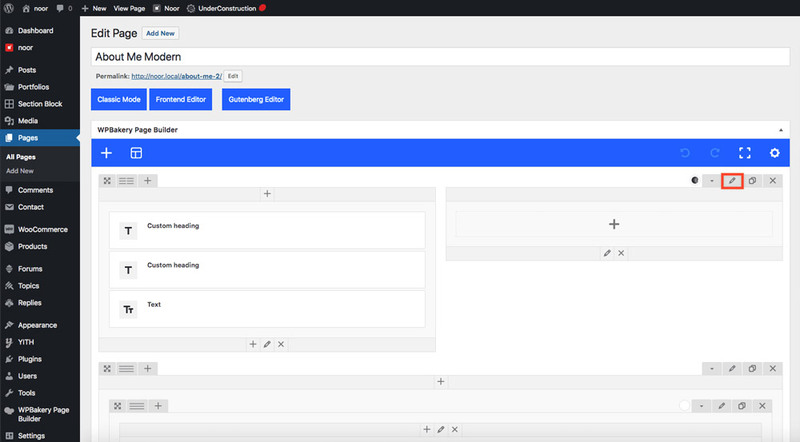 The template will be added to the bottom of the page, to change their order just click drag row to reorder and drop it in the order that you want. 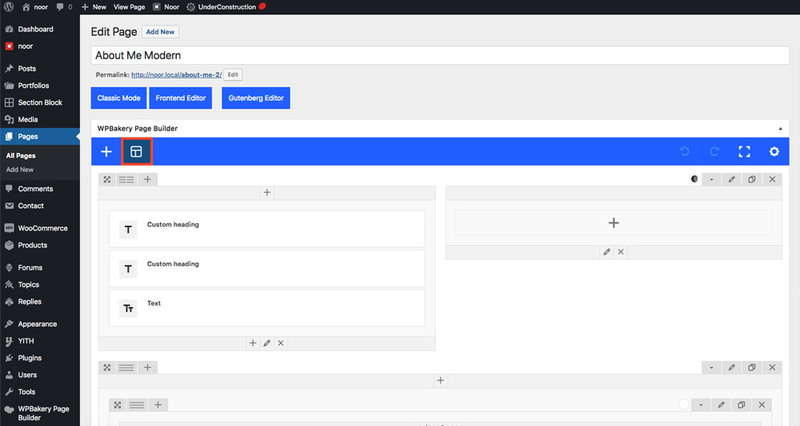 Note: To save the whole page as layout, In WPBakery backend editor click Templates (Grid Icon) then add the template name in “Save current layout as a template” then click Save Template button.